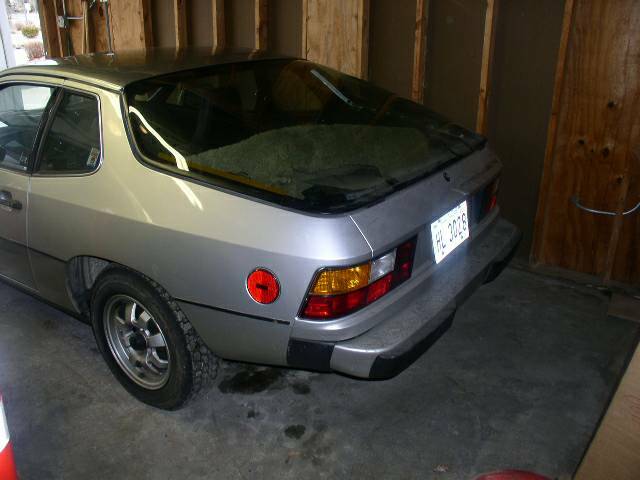 Two cars for this price is a good way to get your collection started in cornering the market for the 924 before Magnus Walker does. If he doesn't start buying them then maybe Jimmie Dyn-O-Mite Walker of Good Times will. Either way, don't say I didn't warn you. The older of the two sequential VIN cars has ninety thousand miles on the odometer and is on it's way to becoming a track car. A recent service has put the car back on the road doing a ninety mile daily commute. The younger car has eight thousand miles and a newly replaced fuel pump. The pictures in the advertisement seem to be from the younger car. It even has the original tires from purchase. How is that for originality? 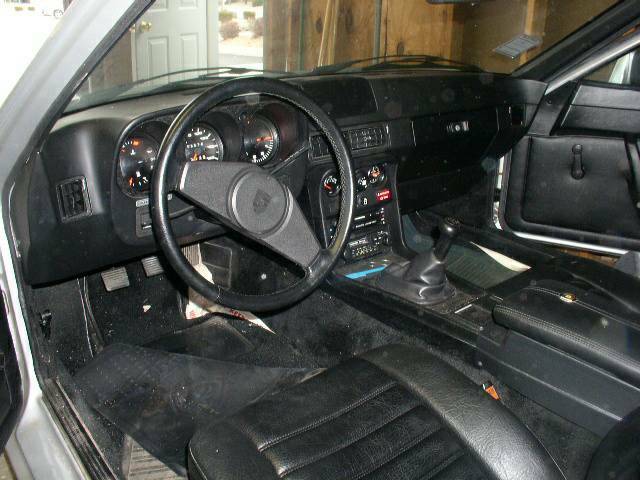 The car has an uncracked dash and the seats and interior look new but are not wrapped in plastic like your grandmothers couch. Engine shots are conspicuously absent, but plenty of exterior shots show an Illinois license plates. With the car being sold in North Carolina you may want to request proof-of-life photos with a recent newspaper included. Of course the buyer may have not registered the car at the time the photos were taken or these could represent highschool graduation photos. Ten year reunion photos may tell a different story. As you are probably aware, the 924 was originally a joint project between Volkswagen and Porsche. Porsche intended the model as replacement for the 914 and entry level vehicle. After Volkswagen pulled out of the arrangement, Porsche continued with the project by buying the rights from their partner. The final product used the VW/Audi 2.0 inline 4 cylinder bottom end with the head designed by Porsche and good for 110 horsepower (give or take). How could you not spend your Volkswagen Diesel Gate refund check on both these vehicles? Truthfully, this is the epitome of a slow car you can drive fast. With two examples, you will have one to stow away and drive sparingly so you can say you followed DT's advice of buying the best example you can find and have a version that you can thrash to within an inch of its life. The driver you can modify to your hearts content and turn into an autocross car, and with the robust 2.0 liter engine repairs should be affordable. Put the GT fender flairs on and play boy racer. Euro bumpers while you are at it too. While back in the garage a stock example will make you happy when the future appreciation hits. If you buy these tow plus the turbo you might end up with three cars for less than ten thousand dollars. How much more DT is that. Or ignore the advice and say you remember when you could have bought a cheap example if only you had listened. I loved my 924. It was my first "nice" car. Looked like a sports car. Accelerated like, well, a VW. Handled like a cross between a Porsche and my grandma's land yacht. I suspect that was just because of its pathetic lack of horsies under the hood. It was burgundy. The day I was picking up my last paycheck, a big rental truck rolled over the nose backing up. I was literally in the manager's office getting my last check handed to me when it happened. A friend saw, ran down the street after the truck, and got the serial number. Turns out it was a stolen truck (from Maine, now in California) that had been off the radar for more than a week, and the truck rental company was so crazy happy to see where it was (and retrieve it) that they cut me a sizable check for the repairs. But I didn't repair it. I used the money to live on while I was looking for another job. It was just the tip of the nose that got snookered. So I bought a nice black bra, snugged it on, and drove it around with a smile on my face. You couldn't tell it was boo-foo'd, even close up. 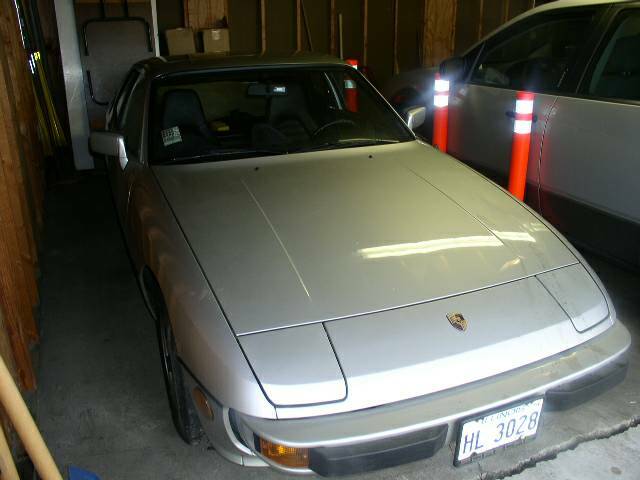 A few years later, I was able to buy a 944 from a client who was upgrading (got a great deal, had only 48K on the odo and full service records all the way back to its birthday). Took the 924 to a cheap paint shop after I'd bondoed the nose, and had them paint it white. Sold it to someone who drove it through a raging sandstorm a year later. Caused big flecks of the white paint to come off all over the front of the car, exposing the burgundy underneath. From that moment on, they called it "the Pinto". Sorry. Brain fart. License number, not serial number. Great deal at $5000 for both! Especially being so clean. 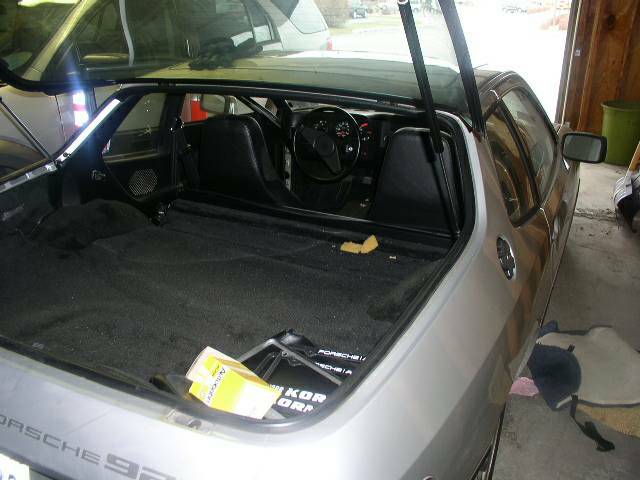 I thought the 924 was cute when it came out. By the time I was actually car shopping the 944 was out, and the 924 suddenly didn't matter any longer, though I couldn't quite afford it new. The decision came down to a used 900 Turbo or used 528i, bought the Saab though in retrospect I probably should have bought the Bimmer.